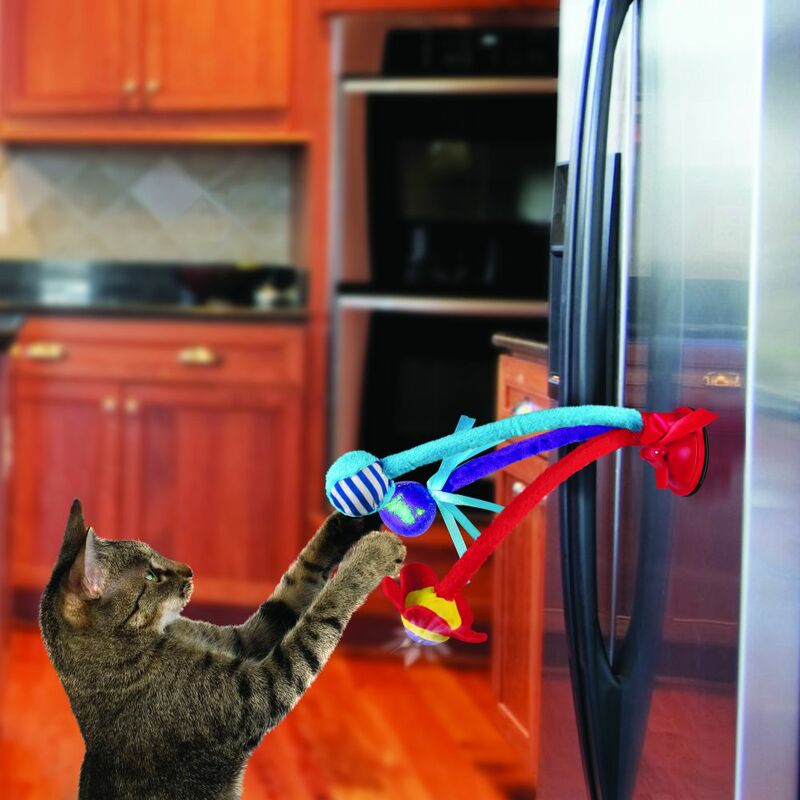 KONG Connects Cat Toys are designed for adaptability by connecting to multiple surfaces giving your cat a varied challenge while allowing you the ability to customize the play experience. 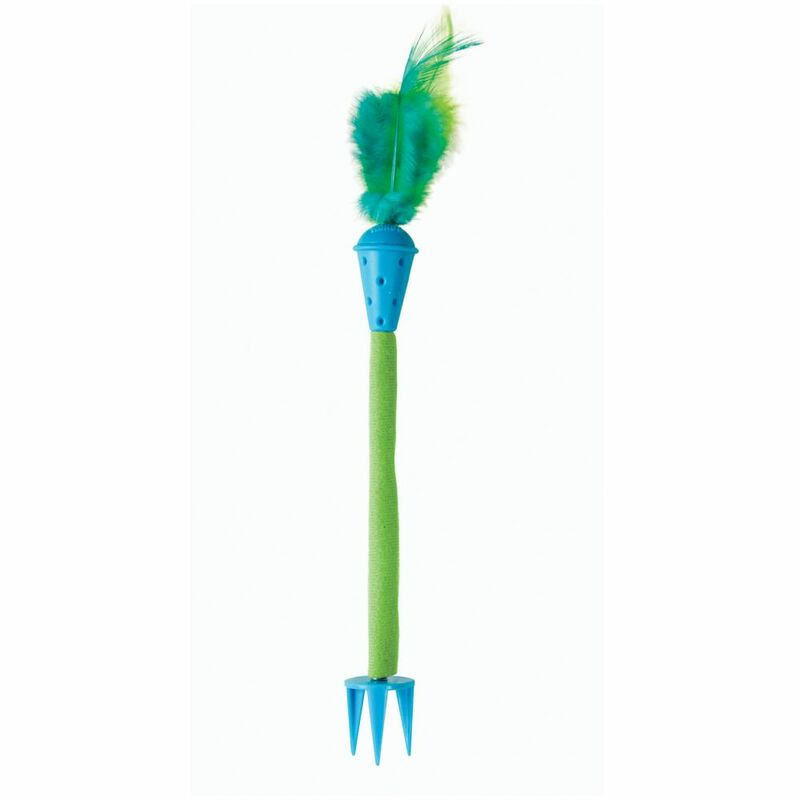 The KONG Bat ’N Spring offers 3 toys in 1, giving even the best kitty hunters a unique challenge. 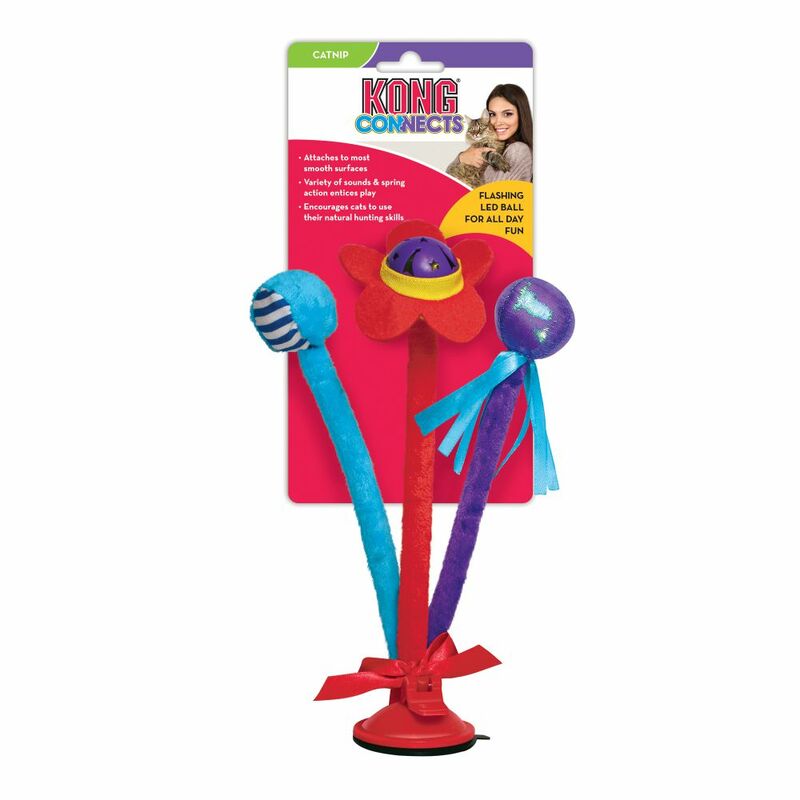 Attaching to most smooth surfaces, the flashing LED Bell Ball light provides exciting fun while catnip and rattle sounds entice all day play. 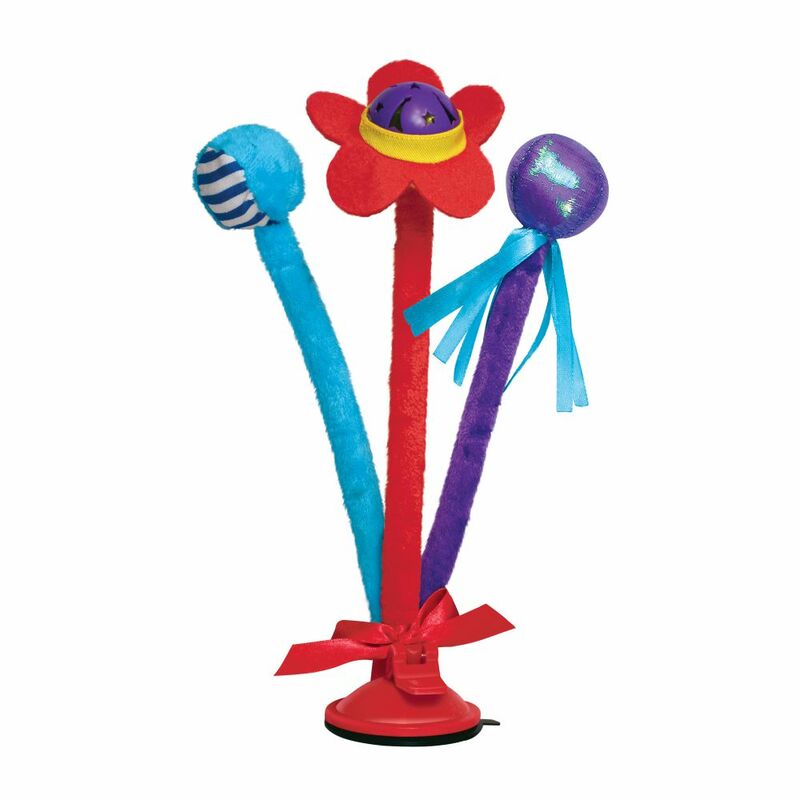 Ribbons add an extra dash of fun.